Balzer + Bray, 9780062845221, 40pp. 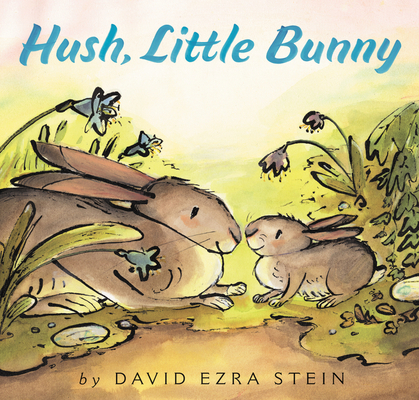 Hush, Little Bunny is a heartwarming, lyrical love letter from a papa bunny to his little one—from David Ezra Stein, Caldecott Honor-winning creator of Interrupting Chicken and Leaves. Fans of Kevin Henkes and Beatrix Potter will adore this gorgeous book. This new classic is the perfect gift for Easter, baby showers, Father's Day, and all year long. David Ezra Stein is the Caldecott Honor illustrator and author of Interrupting Chicken as well as many other award-winning picture books, including Dinosaur Kisses and Leaves, winner of an Ezra Jack Keats New Writer Award. He lives in Kew Gardens, New York, with his two little ones. Learn more at www.davidezrastein.com.